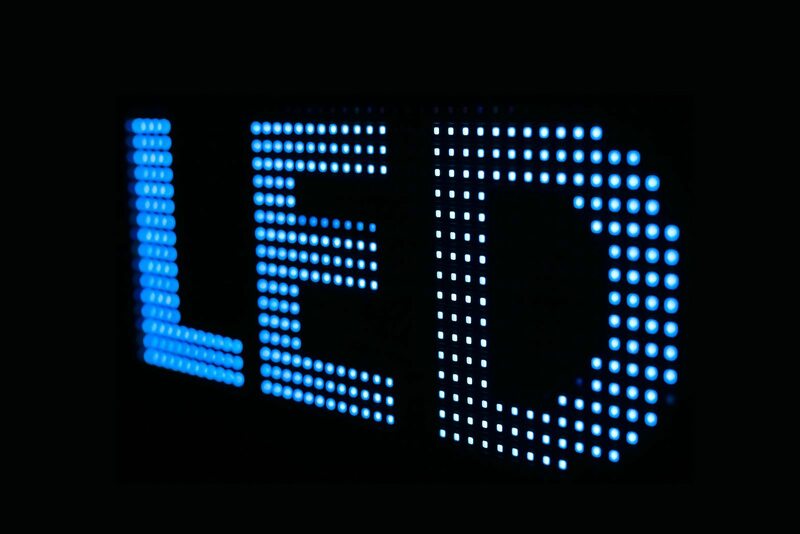 What makes LED Signs a “must have” for Your Outdoor Advertising? Outdoor advertising boosts your company’s visibility and profit maximization prospects considerably but only if you do it right. Still stuck with the old and obsolete marketing methods? Hoardings and banners though durable lose their effectiveness in the dark. This is where LED lights come into the picture.A smart, consistent, and affordable marketing tool, LED sign boards can really expand your customer base. Wondering whether investing in LED sign boards is profitable for your business in the long run? Discussed below are the reasons as to why LED lights are an integral part of outdoor advertising. LED lights have a wider appeal and reach than the traditional pamphlets, billboard hoardings, and newspaper ads in the classifieds section that no one really bothers to read. The vibrant, attractive, and unique display immediately catches a passer-by’s eye. LED lights are subtler and much more effective than the television ads and radio announcements that seem crude and direct. LED lights are available in a variety of colors, shapes, and sizes that are very eye catching and appealing to the senses. The vibrant sign boards are especially attractive at night and can be viewed from a decent distance. With smart strategic placement, these LED lights are powerful outdoor advertisement tools that can convey a message clearly to the present and potential customers. Many entrepreneurs also use the LED signs to promote a relevant issue or endorse a popular opinion thereby firmly planting a lasting impression on the viewer. LED lights are among the most powerful tools for outdoor marketing. For even though the initial investment and installation charges of the LED sign boards is a bit much, they last a long time and require almost no maintenance. It offers a competent, robust, and responsive platform to showcase your work to the potential customer. And unlike televisions, radio, and pamphlets, LED sign boards can be used round the clock. The power saving lights are high on performance and low on maintenance; they’re easy to fix and replaceable. LED display screen are a treat for the senses, the HD video display with excellent picture quality has a dynamic, powerful impact on the customer. And oftentimes the impact is so strong that people are influenced to make a purchase. LED signs encourage people to check out your stores and usually control the buying decision of the customer. It presents the content in an innovative appealing way successfully engaging the viewer tempting them to buy something. LED lights aren’t just confined to signboards many organizations use LED screens and billboards over crowded areas for better access to customers. The vibrant LED signs are usually stationed above 24*7 convenience stores, interstate gas stations, casinos, stadiums, and so on for better visibility. Also you can operate and customize the information of the LED boards via a computer anytime of the day (and night!) A much versatile and reliable alternative to the neon lights, LED sign boards are also power efficient and eco-friendly. Many establishments such as banks, movie theatres, and supermarkets use LED sign boards to inform the customers about the latest updates in the market. The content displayed on the sign boards can be easily customized. For instance, you can showcase special menu options, discounts for the day, and other details that have to be updated regularly. And unlike conventional hoardings that are difficult to redesign, the LED boards are usually connected to a server for easily updating the information with just a few simple clicks. How Is Your Digital Marketing & Signage Related? Thanks for sharing this. I would like to add few to your list. LED lights are free of toxic chemicals. Most conventional fluorescent lighting bulbs contain a multitude of materials like e.g mercury that are dangerous for the environment. LED lights contain no toxic materials and are 100% recyclable, and will help you to reduce your carbon footprint by up to a third. The long operational life time span mentioned above means also that one LED light bulb can save material and production of 25 incandescent light bulbs. A big step towards a greener future! LEDs are extremely durable and built with sturdy components that are highly rugged and can withstand even the roughest conditions. Because LED lights are resistant to shock, vibrations and external impacts, they make great outdoor lighting systems for rough conditions and exposure to weather, wind, rain or even external vandalism, traffic related public exposure and construction or manufacturing sites. LED illumination produces little infrared light and close to no UV emissions. Because of this, LED lighting is highly suitable not only for goods and materials that are sensitive to heat due to the benefit of little radiated heat emission, but also for illumination of UV sensitive objects or materials such a in museums, art galleries, archeological sites etc. LED are ideal for operation under cold and low outdoor temperature settings. For fluorescent lamps, low temperatures may affect operation and present a challenge, but LED illumination operates well also in cold settings, such as for outdoor winter settings, freezer rooms etc. A low-voltage power supply is sufficient for LED illumination. This makes it easy to use LED lighting also in outdoor settings, by connecting an external solar-energy source and is a big advantage when it comes to using LED technology in remote or rural areas. Hi Biplab! Thanks for your input, these are some great additions!